If you’re looking to stock up on doggy essentials for your holiday there are a number of pet shops located in and around the Lake District. These stores cater for your dogs every need with everything from toys through to treats. 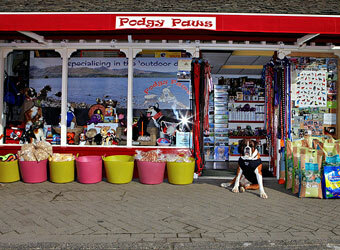 Podgy Paws is a unique pet shop offering food and accessories for all pets. In particular they specialise in the 'Outdoor Dog'. A large selection of waterproof jackets, backpacks, boots, collars, leads, harnesses, toys etc. 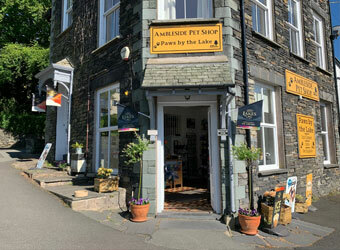 Paws by The Lake sell a wide range of supplies for dogs - specialising in things for those that do 'stuff'! They also have a photography business at Paws by the Lake.